We’ve loved posting about Neil Jackson in the past, loved his work in acting, and love his new music. That’s why we’re thrilled to announce we recently got the chance to chat with Neil about his new album. In this exclusive new interview, we talk about his new album The Little Things, any possible plans to tour, his plans to release more music, and why Make It Or Break It fans are the best around the world. Pop City Life: Thank you so much for taking the time to answer some questions for us! We’re huge fans of yours. What made you decide to start working on music? 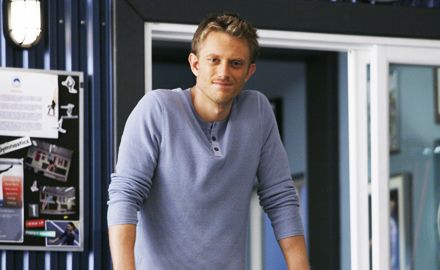 Neil Jackson: I have been playing and writing music longer than I’ve been acting. It’s always been a part of me and something I have loved doing. The time just felt right to now take that passion to the next level and record an album. PCL: You recently released your album The Little Things. What was it like recording the album? Neil: It was so much fun. My songs have always been a very private thing for me. They’re all personal stories or expressions of moments. To fully realize them through the recording process was a joy. To work with the percussionist and hear the drums added and bass and string, and to work with my producer to hone the right sound for the songs and album was so exciting. I loved it. PCL: Who has influenced you musically? What music are you, yourself into lately? Neil: I have quite a eclectic mix of music from Elvis through to Bon Iver. I’d say my personal influences are more in line with Jack Johnson, Damien Rice and The Counting Crows. Right now I’m very much into Matt Nathanson. PCL: How would you describe your sound to someone who has never heard your music before? 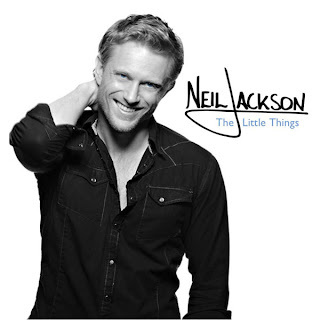 PCL: Do you have a favorite song off of your debut album The Little Things? Neil: I oscillate depending on my mood. Sometimes I’ll really enjoy playing one song and other days I just can’t get into it. Normally my favourite song is always the one I am writing at that moment. PCL: Any plans for a tour in either England or the U.S.? Neil: I would love to tour a little later in the year, but I have no plans to as of yet. My acting career is my main focus so that will dictate my time to a large extent. But I’d love to tour. PCL: Do you have any plans to release any additional music in the future? Neil: Absolutely. I would love to do a jazz acoustic recording of some of the songs on this album. I played a gig in London and a friend joined me who is a jazz trumpeter and I loved the way it sounded. I also have plans to record a second album later in the year. PCL: You recently released music videos for Holding a Candle and Rocket to Mars. What was it like filming your first music video? Did it differ at all from what you’re used to? Neil: The video for Holding A Candle was made by some very talented friends of mine as a favour. It was shot ghetto style with the director and camera-man hanging out the back of my car while another friend drove it and I ran behind. Rocket To Mars was more of an acting piece and so in that way it really wasn’t much different to what I’ve done in the past – except that I’m singing along to my own song while I’m doing it :). PCL: If you had to choose, music or acting? Neil: Acting. Thankfully, I don’t have to choose. PCL: You split your time between L.A. and England. Which do you prefer? What are the best things about each place? Neil: I love my family and friends in the UK. I love the sense of humour and all the home comforts that the UK provides. I love LA because it’s now my home. I love my home and my girlfriend and my life here. PCL: Who influences or inspires you as an actor? Neil: Anyone who dares to get up there and make their dreams happen. I am inspired by bravery. PCL: Are you into awards season at all? Is there anyone or any movie in particular that you were rooting for at The Oscars? Neil: I was very much rooting for Hugh Jackman to win (even though he didn’t). His performance in Les Mis was breathtaking. Moment While Filming Make It Or Break It – My first pay day :). PCL: Speaking of Make It Or Break It, how has the fan support been since the show ended? Any funny stories or encounters with fans? PCL: What can fans look forward to next from you? What else are you working on? I want to thank Neil for taking the time to answer some questions for us. We really appreciate it! He’s a triple threat. An actor, a musician, and an incredible guy. If you haven’t already, be sure to follow Neil on Twitter and Facebook and check out his official website here. I miss him on MIOBI 🙁 But I’m loving his music. Rocket to Mars is my favorite. I love his songs Holding A Candle the words are just beautiful. I too love Achey Breaky Heart! Love to him on T.V as well as listening to his music. He a lovely young man.